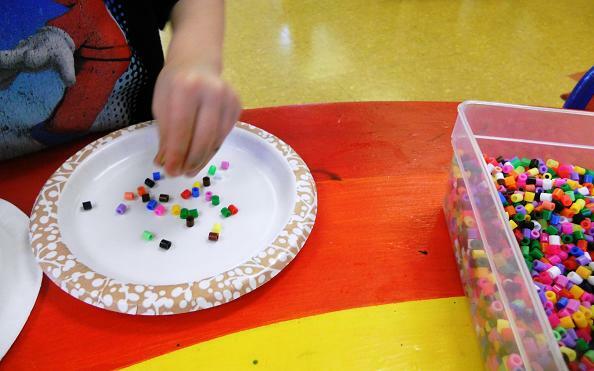 Pre-K just loves their games. To present the sense of hearing I played a game where the children had to try to figure out what object I had by listening to its sound. They could have done this forever. Another game I played with was a match the sound game. I actually had gotten this a few years ago, but I'm not sure from where. It is a game with 12 blocks, inside each block is something that makes sounds when the blocks are shaken. 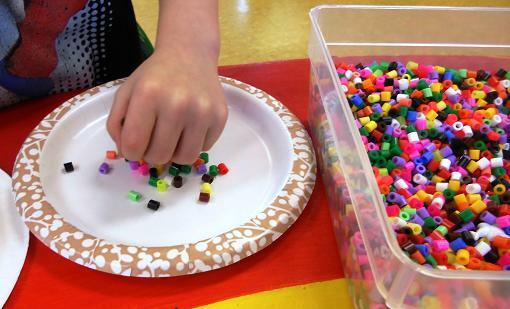 The object of the game is to find the two blocks that make the same sound. Talk about fun, I let each one have a turn while the rest of us listened along. These 11 little ones sat for each time and got so excited when the like sounds where found. They were also very sad when it was time to go and the game was over. 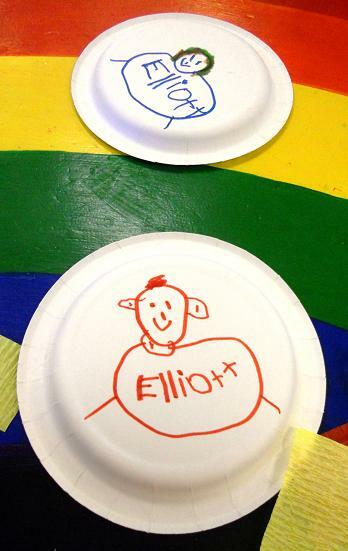 I had the children write their names on the back of one plate and then decorate them. After the plates were decorated the children put a couple of handfuls of beads. 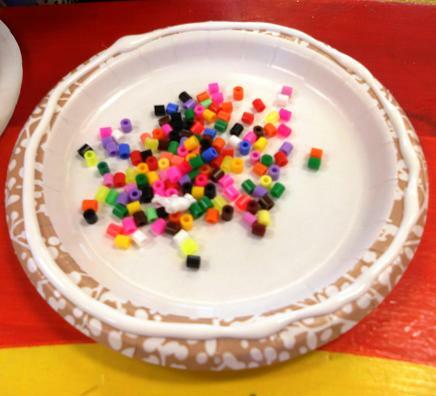 (We have a closet full of beads, but there are many things that could be used). After the beads were in, I put the tacky all the way around the edge of one plate. 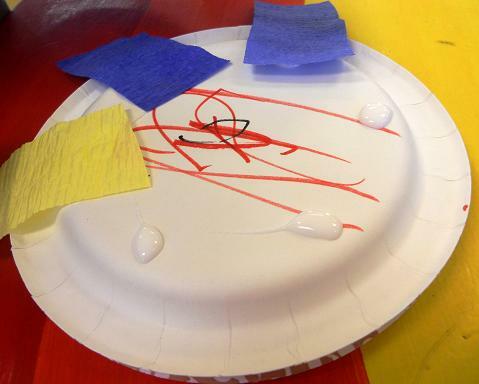 Then the children placed the other plate on top of the glue. 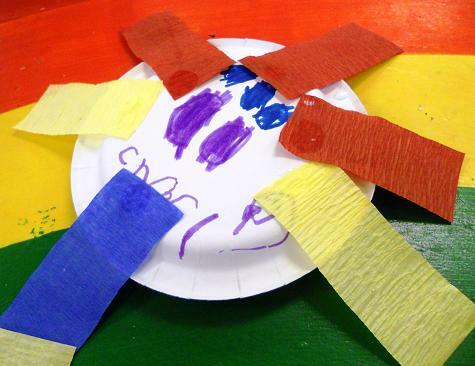 Just for some extra pizazz I had the children add some pieces of crepe paper around the edges. 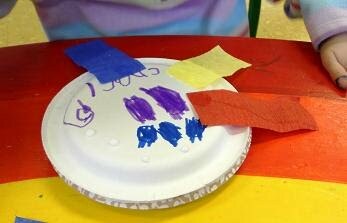 The children put some regular glue in spots around the edge of the plate, then place on the pieces of crepe paper. We had to let them dry for a while, but boy were they fun to shake when they were done.